In March we began discussing how to be Ready for an EPA Inspection. Unless you have ever been audited by the EPA, you may not know what an EPA environmental audit is, what goes into a environmental audit, or who completes the environmental audit. The Environmental Protection Agency (EPA) is an agency that is dedicated to the protection of human health and the environment. In order to fulfill this mission, a large number of regulations have been created that must be kept in compliance by generators and transporters. As you can imagine, they are very strict about how hazardous materials are created, handled, stored, transported and disposed of. The EPA will assure that if facilities are out of compliance their owner’s will receive a fine large enough to potentially send a business into bankruptcy. What is an EPA Audit / EPA Inspection? An audit is an official examination of the facilities, storage areas, equipment, paperwork, and all other aspects that go into the creation and disposal of hazardous waste. According to the EPA’s auditing policy, when the EPA inspectors arrive they do not need a warrant. It is usually a surprise inspection that requires a walk thru of your facility and gives you no preparation time to properly label hazardous materials containers or find old manifests. You can try to deny entrance to buy yourself time but they will issue a Denial of Access notice which can open the door to investigations with ATF and OSHA. They typically pursue a restraining order, and request Sheriff or State Police assistance within 24 hours. As most know, if the police are involved so is the media and then negative publicity is then linked to your business. If you start off being negative toward the inspector, it will automatically be a hard road for you. EPA environmental audit and inspections may be completed by one or more people, and could take up to 30 days or more if items are found out of compliance. This walk through is conducted as a cursory overview of the environmental state of your facility and how it impacts your workers and the environment. Things that inspectors typically key in on are general housekeeping. Is your work space and and areas with hazardous materials a messy one? How are the facilities maintained? Do certain employees have responsibilities for a specific area? Do those people know their responsibilities? Where do you keep your paperwork? Can you easily find certain documents when asked? 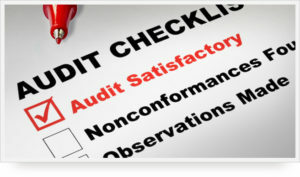 Preparing for an audit is a difficult task, especially if you have never been through one before. It is not easy planning for something you have never experienced or knowing what’s involved. However, here are a couple options that can help you prepare. EPA’s Environmental Audit Program Design Guidelines. This is a 126 page document that outlines what the federal agencies doing the auditing are required to look for. Not only will this give you insight as to what they will be looking for, it explains why they are looking for it. This is a three column, 11 page document that outlines everything that goes into a hazardous materials facility audit, how things should be maintained, where items should be kept, etc. This is a very extensive list and requires a great deal of attention to detail to get through it properly. Once you have gotten through these documents you can take the steps necessary to put these policies in place at your facility. Often times managers in charge of facilities, operations, etc have far too much responsibility and cannot take hours out of their schedule to read hundred page documents that will likely leave them more confused and overwhelmed. It has been our experience that people attempt to read through the policies and still need help navigating through the extensive amounts of detail that go into an audit. They also sometimes simply do not want to do the reading and would rather spend their time and resources more efficiently by leaving it to third party environmental auditors. The benefits to going this route is that managers can feel confident knowing their facilities are being assessed by an unbias third party who will tell them what is out of compliance and will then help them to fix it. This is also a good way to do a mock audit so you understand how it could possibly go but without the punishments that would come from an actual audit if your facility is out of compliance. Once you determine which option is the best route for you, don’t wait to get started. 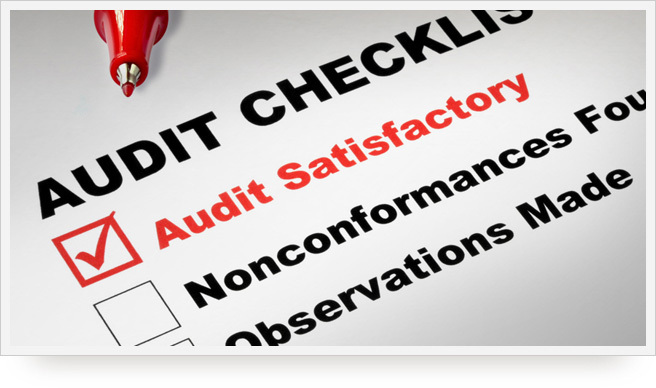 As we mentioned before, an audit can happen at any time without any notice so you definitely want to make sure your facility is in compliance before that happens. If going with a third party environmental auditing company is the direction you see as the best fit for your facilities, we can save you the hassle of spending more of your precious time searching for a company that provides you this service. It is vital that compliance is met in your facilities, this is where we come in. MLi Environmental provides mock audits of your laboratory, school, hospital or facility based on EPA regulations to provide you with a report so you can make changes to these noncompliance issues before the DEP, DEC, EPA, and OSHA walk through. So if you decide this is the best route for you, you can request information about our auditing service, and we will be sure to get back to you within 48 hours.